Runners tend to have a pretty complicated relationship with the training tool known as the treadmill. Granted, the piece of equipment does allow you to move your workouts inside when the weather or other factors conspire against you. But… treadmills are also so very boring. This is especially true if you’re used to running through particularly scenic routes. Plus, runners often feel like taking their workouts inside has a pretty noticeable effect on their performance. So, how can you use the treadmill appropriately? Is it possible to still get an effective, enjoyable run while confined that this particular piece of gym equipment? Here are some suggestions on how to adjust your workouts when you find yourself running in place. When you first hop on a treadmill, it can be tempting to try to make that machine precisely mimic your outdoor runs. Don’t do that. 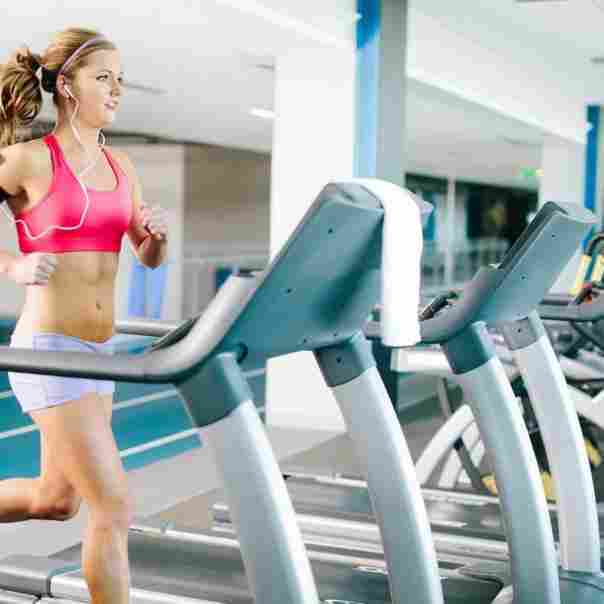 As you’ll see throughout this post, treadmills differ significantly from other running surfaces – both in the way that your body interacts with the surface and the way that you move through space while running. So, yes, treadmill running is fairly unnatural. It’s important to put that out there. But that doesn’t necessarily make treadmills bad, ineffective or harmful in some way. These training tools have their place when used properly. But, what’s that mean? By far, the most unique thing about treadmills is the huge amount of control and feedback that the machines offer you. The majority of treadmills have a host of sensors and customizable options, providing you with ready access to your speed and heart rate – factors that are difficult to accurately monitor without wearables of other equipment while running outside. 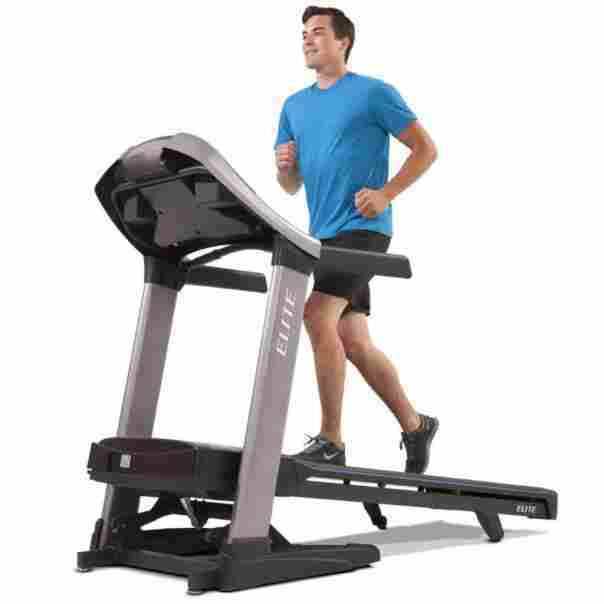 A quality treadmill will also give you much more control over your terrain than you would otherwise have. The incline and decline of your run can be easily changed on most machines, either manually or automatically. Many modern treadmills have preset routes that will adjust your incline for you as you progress to simulate certain environments and target specific aspects of your training. And that is the primary value of the treadmill: control. If you’re looking to monitor a very specific aspect of your performance and take a somewhat clinical approach to your workout – which is necessary sometimes – treadmills will give you that ability. The trick, then, is to view treadmills as an entirely different training tool and not try to treat it like you would any other run. Another reason to mentally separate treadmill and outdoor runs is that, simply put, you don’t run the same way in those two situations. For example, think about how your outdoor stride changes as you run faster. Typically, your steps become wider and wider as you fling yourself forward. That’s just not how it goes on a treadmill, whether you know it or not. In fact, you take on a completely different form when you run on a treadmill. Studies have found that people instinctively shorten their stride when running on a treadmill regardless of speed. The theory goes that this adjustment is meant to reduce your risk of hitting the portion of the machine in front of you. As running speed increases, though, treadmill runners also increase the amount of time that they spend in the air by taking shorter, faster steps. Likely, this is intended to limit your contact with that fast-moving belt. In general, your body is incredibly good at adjusting the stiffness of your legs and other factors as you move from one running surface to another. And treadmills are really just another running surface. It’s important to understand, though, that this particular running surface is fairly significantly cushioned. Now, this does mean that treadmill training tends to be easier on the joints but it also highlights yet another factor that will change your running mechanics. Because your steps become more frequent on the treadmill, your legs will become more stiff. At the same time, your legs are also going to stiffen to compensate for the softer running surface. If you aren’t used to running on treadmills, then, be prepared to experience new forms of soreness. Your calves and shins are particularly susceptible to these changes in stride. One of the biggest complaints voiced by runners regarding treadmills, though, has to do with feelings of boredom. Which makes sense. If you’re used to exploring your surroundings and enjoying the great outdoors, moving things inside can be a real challenge. Again, however, the solution rests in embracing that change rather than railing against it. 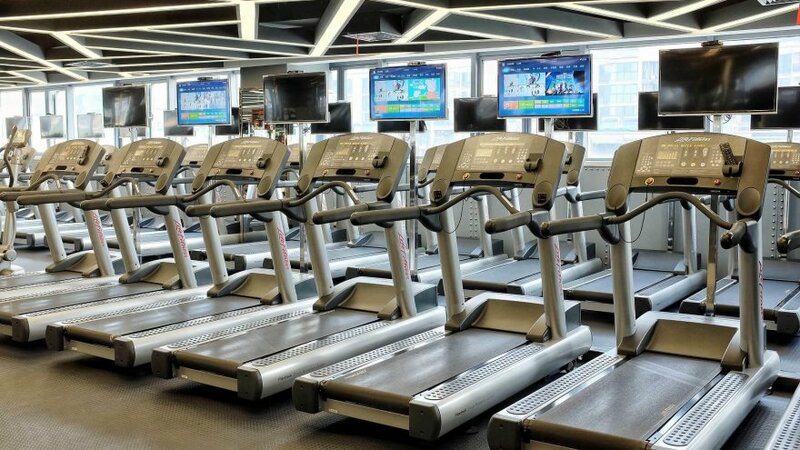 Many newer treadmills not only adjust the incline to simulate various terrains but they actually show you pictures of that area. Interestingly, this can allow you to run in a variety of destinations, enjoying the scenery as you go. Of course, there’s also the fact that most treadmills allow you to watch TV. Which is actually pretty controversial among athletes. Many runners feel like this is too distracting and causes them to subconsciously reduce their exercise intensity. But studies into the issue have produced mixed results. People do tend to limit their intensity while watching TV on the treadmill, primarily because they hold on to the handles so that it’s easier to see the screen. But there is also plenty of evidence to suggest that the ability to watch TV while exercise can be a pretty powerful motivator and increase your likelihood to actually get to the gym. So, if you’re dreading having to use that treadmill to avoid the rain, bingewatching a few episodes of your favorite show could be exactly what you need that day.